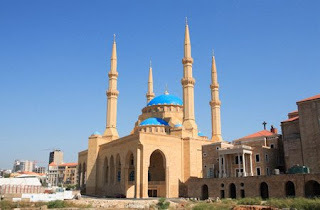 The Mohammad Al Amin Mosque in Beirut, Lebanon was built at the beginning of the new millennium. 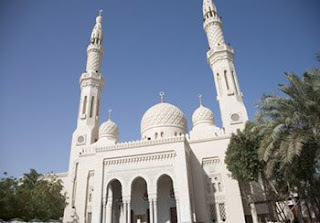 The Jumeirah Mosque must be the most photographed house of worship in Dubai. It opened its doors in the late 1970s. 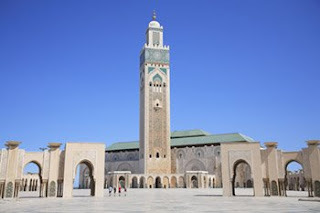 The Hassan II Mosque in Casablanca, Morocco was completed in the 1990s and can hold up to 25,000 worshippers. From these three, I've only been to Casablanca; quite impressive! Hi Wendy, I'm a fan of mosques myself - so nice to see this post. Although I'm curious as to when that picture of Jumeirah Mosque was taken. I've lived in the UAE 10 years and never seen it white. It's made of sandstone - it's hard to imagine that they might have painted those beautiful stones white once, and then sanded them back? How strange. I'll have to investigate! What's this I hear of an "uncensored" Dubai??? It was quite impressive. Have a great weekend as well! 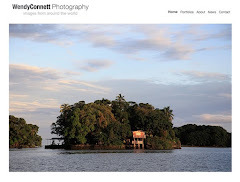 Interestig trips, beautiful pictures and nice comments make your blog quite impressive. Keep on traveling and writing and let us know the outcome. Thank you for your kind words. I hope you come back often. Wendy, I will. In the meantime I invite you to have a look at my blog. Hi Wendy. It looks you haven't escaped from New York for some time! 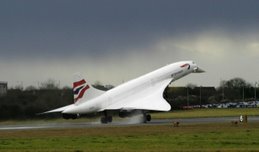 check out my home page for latest posts and travels.